Amazing country living in Surprise. 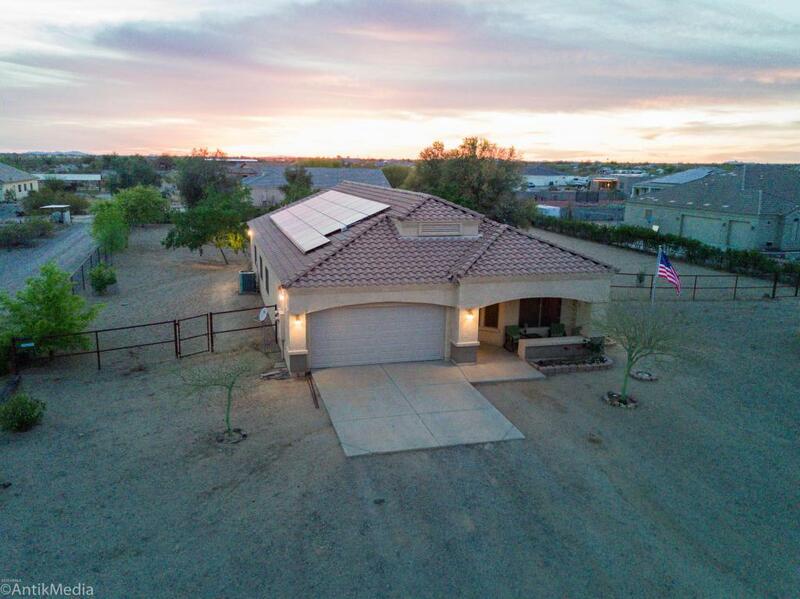 Energy efficient home features plantation shutters, granite countertops, split floor plan, great room with tile wood-like floors, mature trees, and so much more all on a fenced one acre corner lot. Plenty of room for all the toys behind two RV gates and a backyard anxiously waiting for new owner's creative touch. Horses just one of the many options available. Plenty of room for outbuildings such as a workshop, separate garage or additional living space. Real value for the dollar, don't miss seeing this gem.